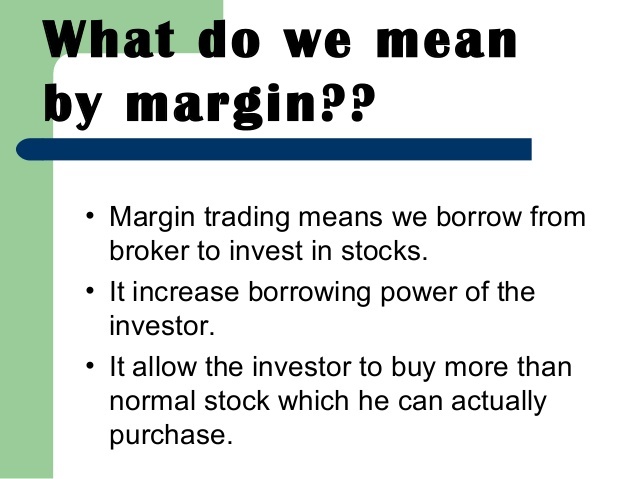 Margin trading is a way to magnify your buying power by borrowing money from your broker. The amount that can be borrowed varies over time, but the current number is 50% when trading stock. Translation: When a trader buys shares of stock that qualify for margin, she may borrow a maximum of one-half of the cost from her broker. Someone with a $5,000 account (in cash or marginable securities) may borrow an additional $5,000 to buy stock. Stock approved by the Federal Reserve and an investor’s broker as being suitable for providing collateral for margin debt. Depositing marginable stocks (or any other marginable securities) in a margin account is an effective way for an investor to reduce financing charges. However, the criteria to ensure that securities are suitable as collateral for margin debt can be quite strict. The Federal Reserve has a minimum set of standards for marginable stock, but a broker can choose to set stricter standards. Fidelity’s definition which securities are eligible for margin. The rules for borrowing money to trade options are different. NOTE: Use the discussion above to know which securities can be used as collateral (margin) for options trading. However, your option positions must be paid for in full (with your own, or borrowed money) and do not provide any additional buying power. The margin rules are not complicated. When you buy an option or a debit spread, you must put up 100% of the cost. Thus, in the worst case scenario, when the options expire worthless, you can never be called upon to put up more money. The trader can never receive a margin call. When you open a debit spread, the trader is required to put up the maximum possible loss – in cash. Again, that trader can never be asked to put up more money because the worst possible situation has been accounted for. If an option trader writes an in the money or at the money option (call or put) the required margin deposit is the premium received plus 20 percent of underlying stock’s current market price. The premium received plus the 20 percent of underlying stock’s current market price minus the out of the money amount. The premium received plus 10 percent of the current market value of the underlying stock. In the United States, traders with an account over $100,000 may apply for portfolio margin. Be very careful. The margin requirements are far less strict and it is easy to build positions that are larger than you should want to trade. In general, the margin requirement is that a trader put up enough cash so that at no point during a market move of between zero and 15% in either direction does the account (theoretically) lose more than the account value. There is often a volatility component thrown in as well. Be aware, it is possible to lose more than the theoretical limit when vega exposure is too high. These accounts are designed to limit exposure to negative gamma, but if vega quadruples all at once, that could spell bankruptcy for some traders. Reg T margin is safer to trade. The idea behind borrowing money from a broker is to have more cash to invest. Obviously the trader has to plan on earning a return that is higher than the interest rate paid when borrowing the money. The good and bad news is leverage. If you invest $2 for every $1 in your account, you earn twice as much money. That part is apparent to everyone. The part that most traders miss is that leverage works both ways. If you lose money, it is lost twice as quickly. Beyond that, it is far easier to blow up a trading account when using borrowed money. When our $5,000 trader uses margin to own $10,000 worth of stock, it takes an unlikely, but possible, result to lose 100% of the account. If the stock price gets cut in half, the account would still be worth $5,000. But that is the broker’s money. The trader’s entire $5,000 has been lost. It is truly easier to go broke when using margin. It may not cost much to borrow the cash, but using margin is not recommended for conservative investors, unless circumstances are truly extraordinary. 2) Sellers of naked options must use a margin account. 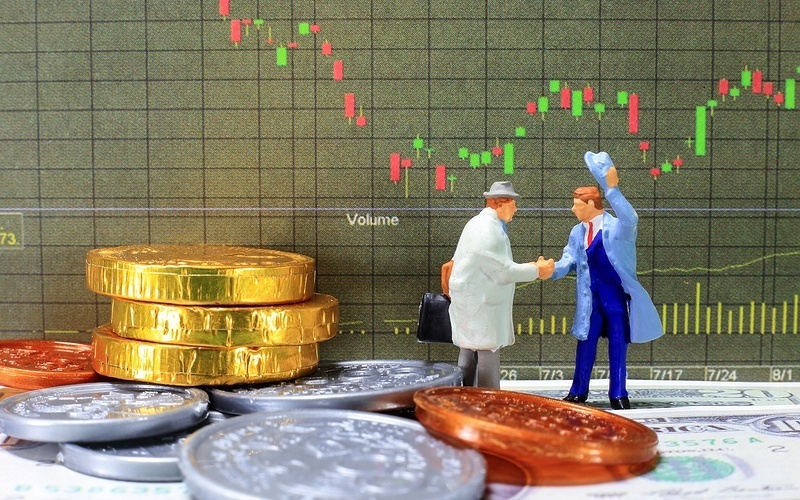 However, the trader does not have to borrow money from the broker. When you meet the margin requirements using only your own assets, then you are not borrowing money, even though the trades are held in a margin account. Per details above, option sellers may use margin to gain leverage: Extra rewards plus extra risk. 3) Sellers of credit spreads, iron condor traders, iron butterfly traders etc WITH AN ACCOUNT BELOW $100,000 are not eligible to use margin. Their positions must be paid for in cash. The covered call writer may buy stock using 50% margin and then write the call option. 4) Traders with accounts over $100,000 have two major choices. The first is to ignore portfolio margin (by not requesting it) and stay with Reg T margin. The major benefit is that you can never lose more than the value of your account at one time. I know you will be disciplined. I know you will manage size correctly. But, if you are going to do those things, there is no need for portfolio margin. The second is to apply for portfolio margin and enjoy the benefits of being able to trade larger size. WARNING: This is not for anyone who considers himself to be a rookie trader. You have no need to invest more than 100% of your account value (as measured by Reg T margin). In other words, with a $100,000 account, isn’t trading 100 ten-point iron condors good enough? Do you really want to trade 120 or 150 or 200? Do not misunderstand. If you are a successful and disciplined trader who manages risk well (and I do not see how you can be successful when you do not manage risk well), then sure, consider using portfolio margin. Just trade with reasonable position size. The rationale behind this post is a request form a member to help him understand how to make use of margin to achieve additional profits. The bottom line is that most option traders do not use (or have a need to use) margin. If you do trade a portfolio margin account, there is every reason to trade with less risk. You can afford to insure positions and thus, trade somewhat larger size. Please remember that insurance only limits losses, it does not eliminate them. It is essential to carefully choose position size.